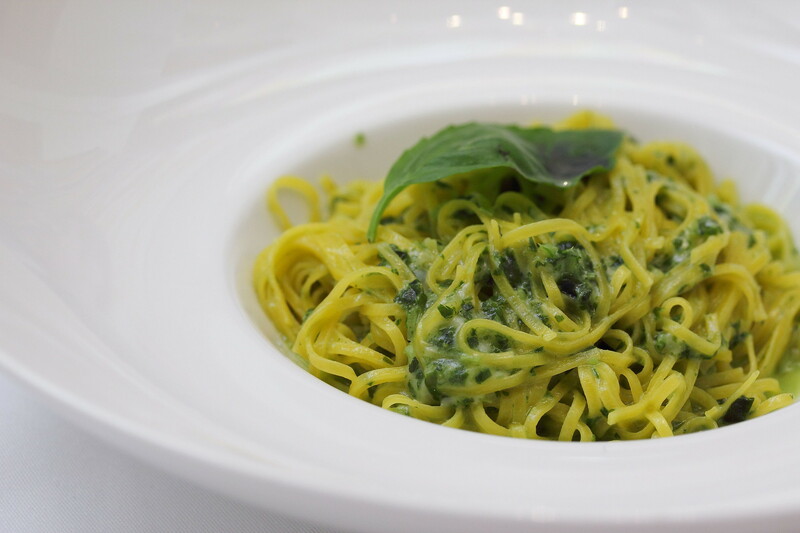 It is all about Italian with the first ever Italian Buffet at Pontini, Grand Copthorne Waterfront Hotel. 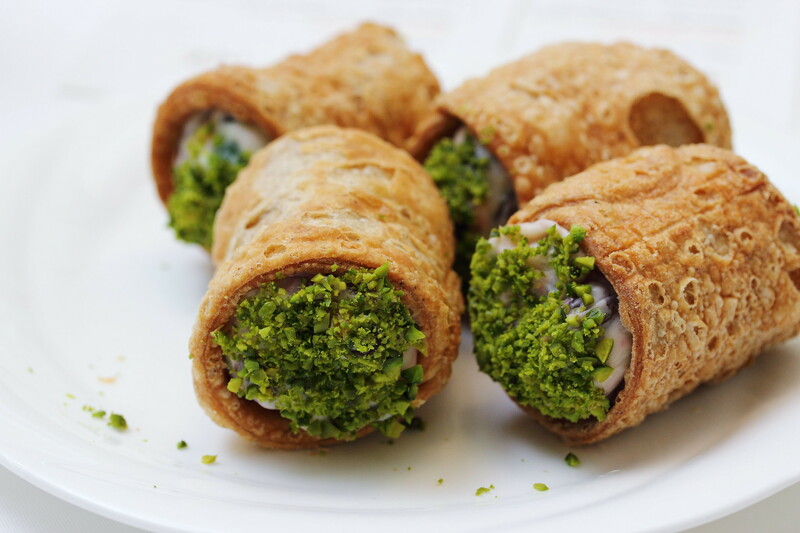 Starting from 04 October 2014, Chef Daniele Sarno of Pontini unveils a sparkling new Italian buffet featuring a plethora of antipasti, breads, soup, main courses and desserts from various regions in Italy. What is Italian buffet without their staple Pizza and Pasta isn't it? The pizza and pasta are done a la minute. 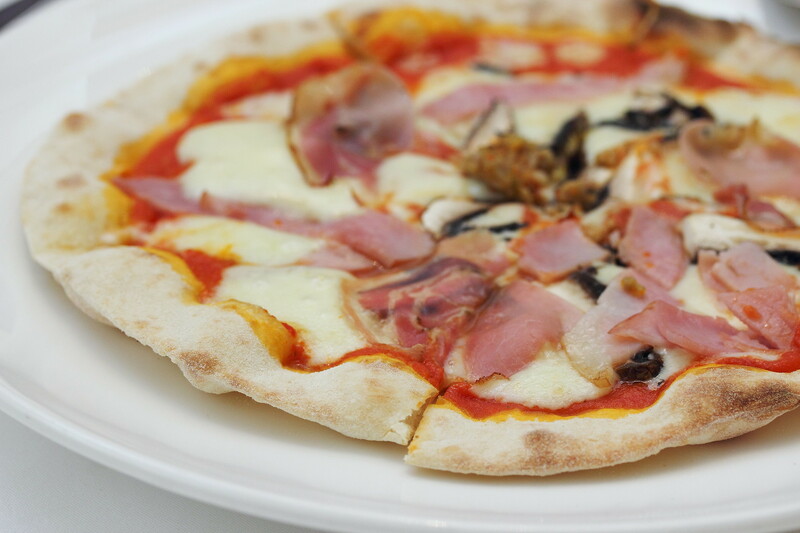 The Pizza comes in three bases, Tre Porcellini, Vegetarian and Margarita with up to 21 different topping choices. My advice is to place your order to the kitchen and help yourself to the spread of antipasti, bread and soup first while waiting for the pizza to be served. I do not like my pizza to be crowded with ingredients so I am content to have only two to three toppings. 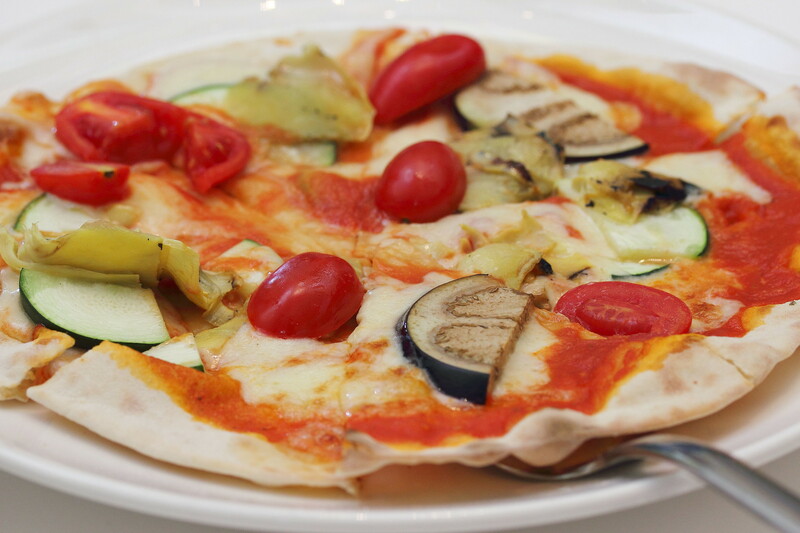 Biting into the thin crust pizza, the first thing that hit my palate is the taste of fresh tomatoes. This itself already won me. Nothing beats the taste of freshness. Moving on to pasta section, one has a choice of Tagliolini, Penne and Tagliatelle. There are 5 different styles of cooking you can opt for. 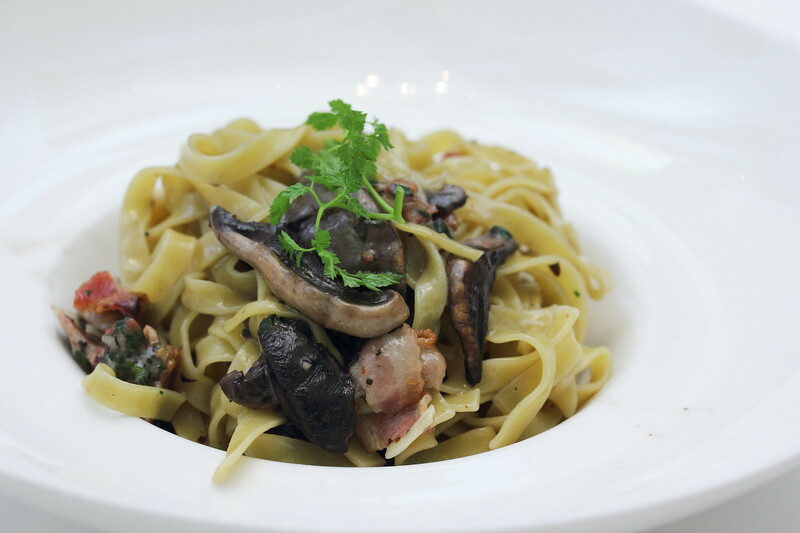 They are Aglio Olio and sweet chilli, Fresh tomato fondue with basil, Roman style carbonara, Wild mushroom, pancetta, pine nuts and parmesan cheese and Genovese style basil pesto sauce. Like the pizza, the pasta are also cooked a la minute. The pasta were also freshly made from the kitchen and cooked to a nice al dente bite. Once again the essence of simplicity and the used of fresh ingredients of Italian cuisine is clearly demonstrated in the plate. It is a buffet so we can't just stop at pizza and pasta. There are three different mains available on the menu for selection too. It is a buffet so we tried all the three items. 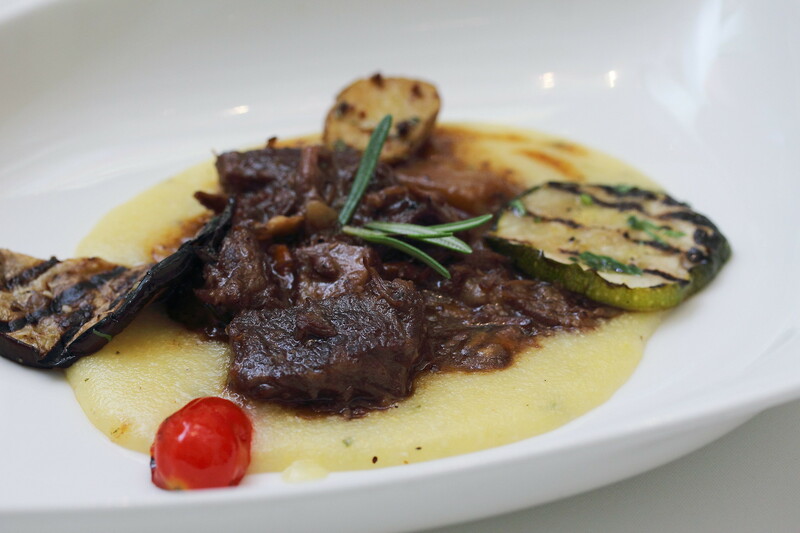 We started with the Piedomont Style Braised Beef Brisket on top a bed of potato fondant in herbs gravy. The beef brisket was beautifully cooked under it literally melted in the mouth. It also carried a rich and robust flavour that was cleverly balanced by the potato fondant. 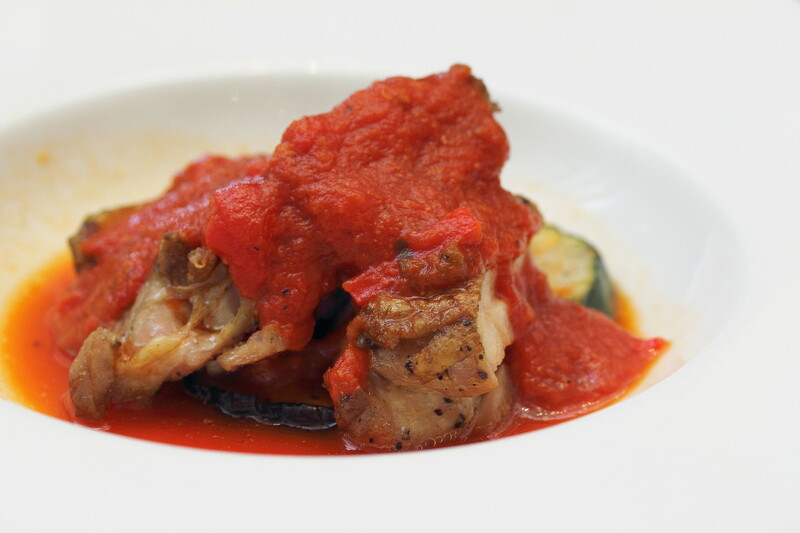 The Chicken Thigh Diavola with tomato sauce, spicy capsicum and dry oregano was my favourite among the three mains. The tender chicken with the fresh tomato sauce worked marvelously on my palate. I think I will gladly eat anything that is served to me using the fresh tomato sauce. 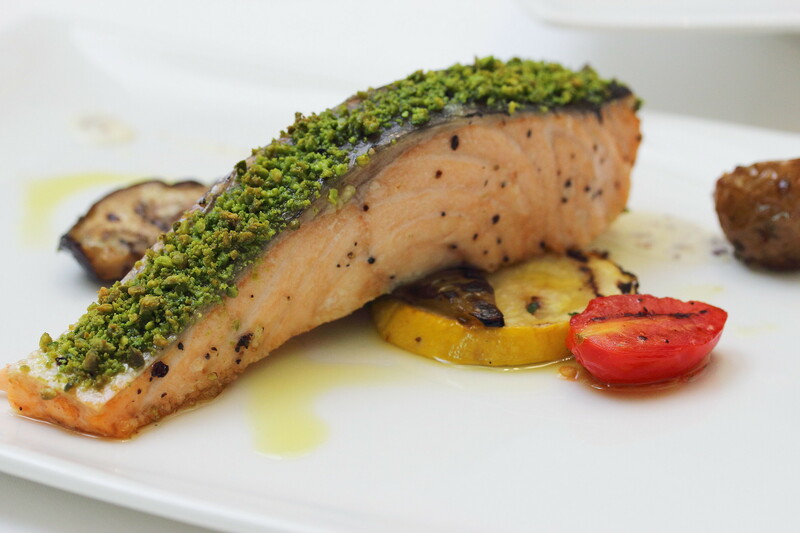 From the land we moved to the sea with the Oven Baked Norwegian Salmon Mignon in Pistachio Crust. 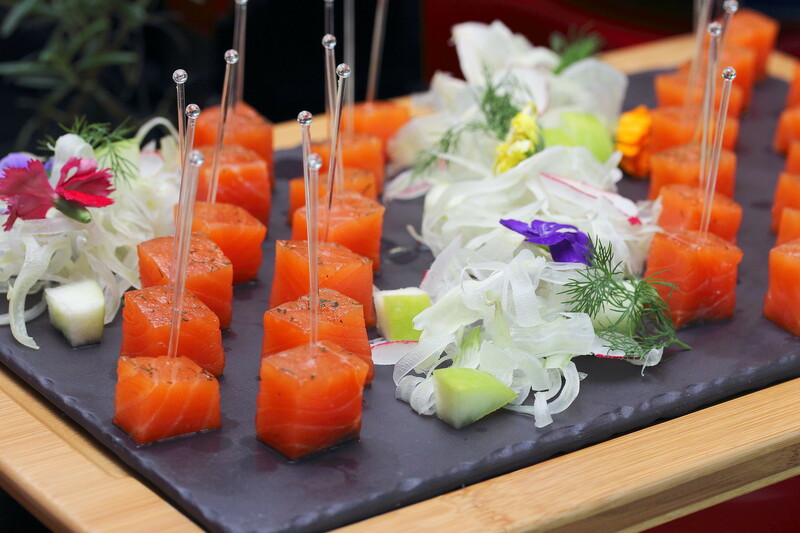 The pistachio was hardly noticeably but it did give the pinkish salmon an extra layer of texture. 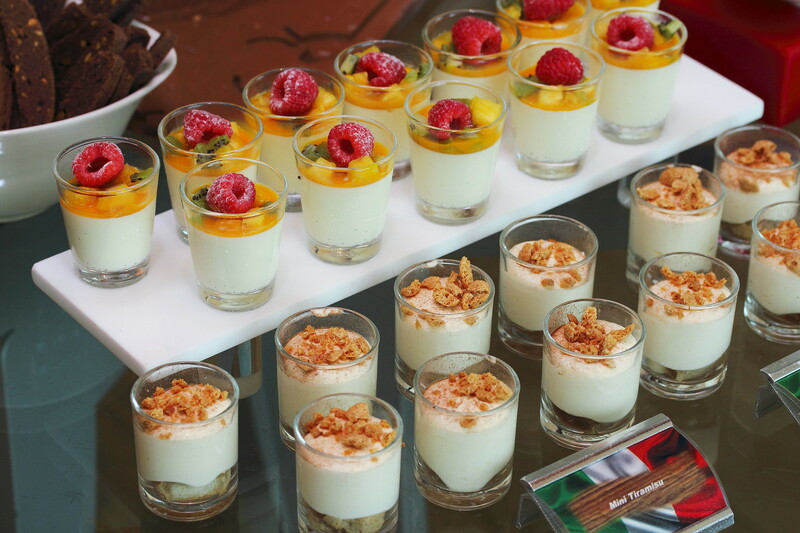 Of course every buffet comes with a spread of sweetness to end the feast on a sugar rush. 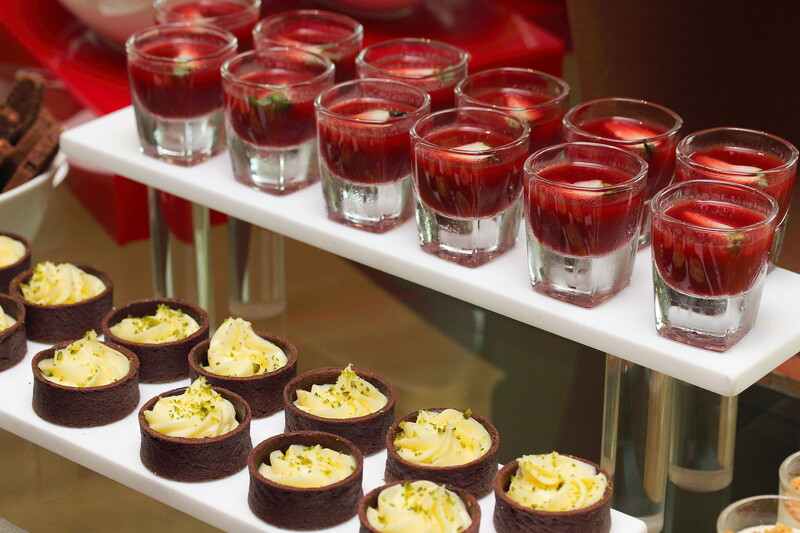 Indulge in a selection of desserts after a journey through the different antipasti, breads, soup, pizza, pasta and mains to end the Italian feast on a sweet note. The Italian Buffet is priced at $48++ per person. It is only available on Saturday and public holidays from 12pm to 4pm.